Pill Pockets changed our lives! Perfect solution for a smart dog! 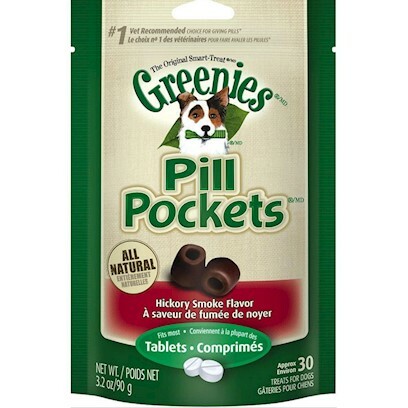 Saves so much time, my dog thinks the pill pockets are treats. Dried out and falling apart. Where did the duck and pea go? even MY dog eats it! READ THIS IF YOU WANT YOUR CAT TO EAT THEM! Cat turned up her nose! Misleading rating / original recipe was better! What in the heck happened??!! Great for small tiny pills. Wow! Thank you for this product! My cats and I hate them.